Movie star Shah Rukh Khan, detained at an airport in the US for questioning again, tweeted on Thursday: "Every damn time!" The 50-year-old actor was detained at the Los Angeles airport this time. A man with the same name is on a US no-fly list of 80,000 people. He took to Twitter to voice his exasperation. Mr Khan, one of the most successful stars in the Hindi film industry, has been held back at US airports thrice in seven years. American officials tell NDTV that during immigration checks, what pops up is a name without any other detail to help draw a distinction. In April 2012, Mr Khan was held back for over two hours at the airport in New York on a visit to address students at Yale University. He had joked later at Yale: "Whenever I start feeling too arrogant about myself I take a trip to America." Mr Khan was a part of a group that included Nita Ambani, wife of industrialist Mukesh Ambani, whose daughter was a student at the university. While Mrs Ambani and the others were cleared immediately, the actor was stopped and allowed to leave only after two hours. After arriving two hours late at Yale, he said in his address: "We were detained at the airport as always. For one and a half hours. It was nice. It always happens when I come to America." As New Delhi reacted strongly and asked the Indian Ambassador to take up the incident, the US Customs and Border Protection wrote to India's New York Mission expressing "profound apologies". Earlier this year, the actor had said in an interview that he hoped this would stop, since his namesake had been removed from the no-fly list. In 2009 too, the actor was stopped at the Newark airport because his name came up on a computer alert list. 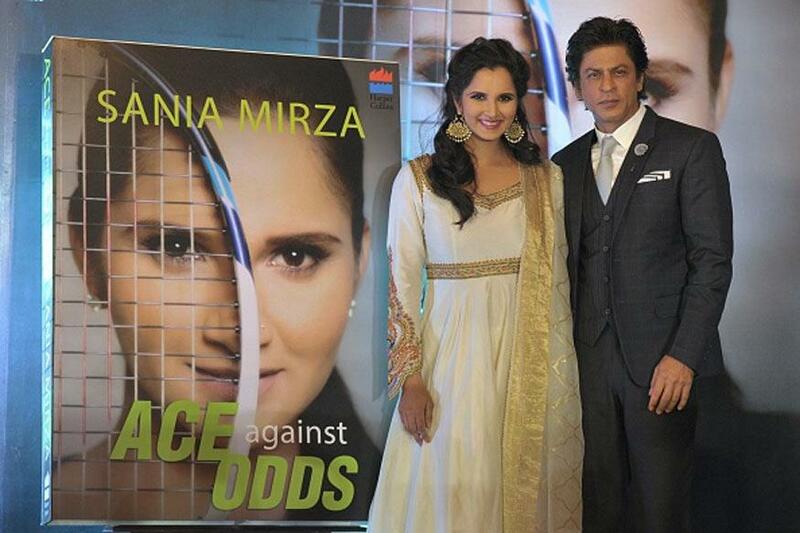 Bollywood superstar Shah Rukh Khan on Wednesday launched the autobiography of tennis star Sania Mirza titled 'Ace Against Odds'. "Genuinelly...I feel that the more love we show to our girls ...the more love we show to our women and the more love and respect we show to our ladies ... believe me, we will have many more achievements which are world class like Sania's," the 50-year-old actor said. "Have a lot of respect ...geniuelly, I am telling you there are no bigger achiever's than women in this world," the "Dilwale" star said. "She (Sania) is the 'rani' of racket'," he quipped. "Sania has done more than anyone else to make our country proud. We would remember people like P T Usha, Mary Kom and Sania Mirza who have led the way for lots of boys and girls to take up sports as a professional career and make our country even prouder," Shah Rukh added. "I couldn't have thought of a better person to do it (the launch). All I had to do is, just say can you (SRK) please come and unveil this very special thing for me. That's all I had to say and he is here," Sania said. "By the grace of god, I had a long career...enetertaining career on and off the court. I am glad I am able to present it," she added. The book captures Sania's journey of becoming World's No.1 player in women's doubles and the difficulties and challenges faced by her in making her dream come true. SRK's close pal Farah Khan. visit in a highly "encrypted" manner. for the dinner hosted by Shahrukh Khan for Cook. Earlier today, Cook had a meeting with India's top iOS developers. "Great to hear from some of India's top iOS developers today. Innovative apps and many ideas for the future!" he tweeted. development communities in the world," said Cook. for customers around the world," he added. and Tata Consultancy Services CEO N. Chandrasekaran. Minister Narendra Modi in the national capital on Saturday. While YRF's latest offering, Fan, is an out-and-out Shah Rukh Khan film, there are many who worked silently in the background to make Fan look like it did on the big screen. One of them is Ken Metzker, a colourist for the Maneesh Sharma film. Metzker recently said that Fan was a difficult project because to work on because it is heavy on VFX. 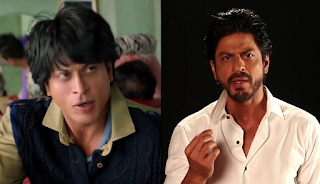 Shah Rukh plays a double role in Fan and his character of Gaurav Channa was made to look younger by digitally reconstructed the actor's face using VFX. 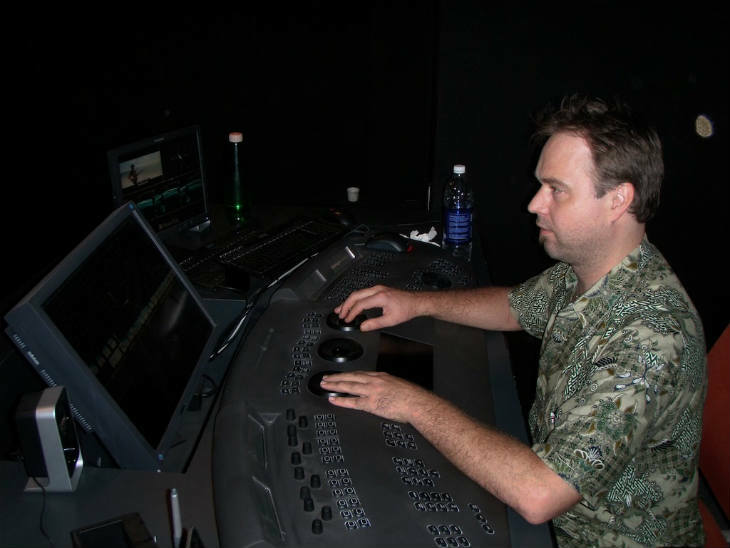 Metzker worked in close coordination with cinematographer Manu Anand to ensure a realistic grade (colour) for both the live action and the VFX elements in the images. "Working with Manu (Anand) was a truly enriching experience... Grading a movie as heavy on VFX as Fan is always a challenge and we worked closely together to ensure that the overall look of the movie was consistent with the director's vision for the film," he said. "We are all extremely thrilled about the final film and I look forward to working with Manu again soon," he added. Prime Focus began work on Fan in November 2014 when 20-30 shots of the film were tested and the final look of 'Gaurav' was locked in. Over 500 hours were spent grading the VFX plates and fine-tuning the colour of the movie which released last Friday. 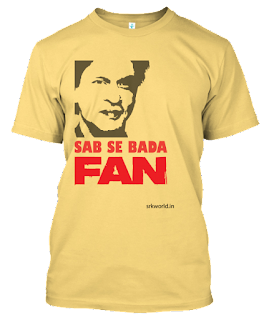 Shah Rukh Khan's 'Fan' is not only applauded by the fans but also the film is getting critical acclaim. 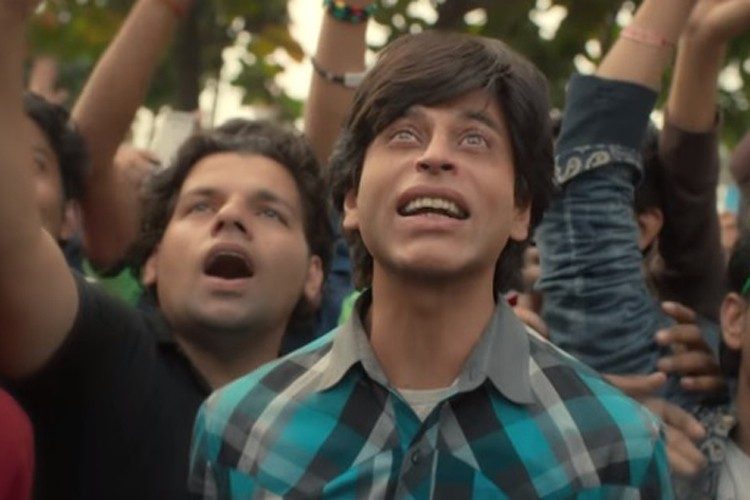 Finally the much awaited Shah Rukh Khan's 'Fan' hit the theatres and created shock waves all over. 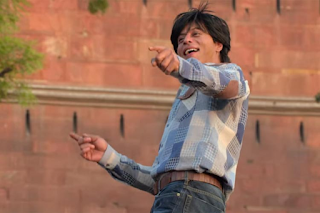 'Fan' is not only applauded by the fans but also the film is getting critical acclaim. According to the trade experts, 'Fan' has earned 52.35 crores net box office collection in first weekend beating the 42.50 crore net of 'Airlift'. 'Fan' has also leaded the chart in the highest day 1 collection of 2016 so far. The film has recorded fairly good numbers in Mumbai, Delhi, UP, West Bengal and Mysore and even other circuits. eing an SRK FAN you should wear this Tshirt. Send us your selfie wearing T shirt to usAnd if you are lucky your picture will be shared on on twitter if you are lucky enough you get noticed to king khan. There's no denying that Shah Rukh Khan-starrer 'Fan' has already created a buzz with the first two teasers becoming a hit. But with the release of its trailer, it has created the magic all over again. Directed by Maneesh Sharma, the film has been shot in various locations in Mumbai, Croatia and Delhi. 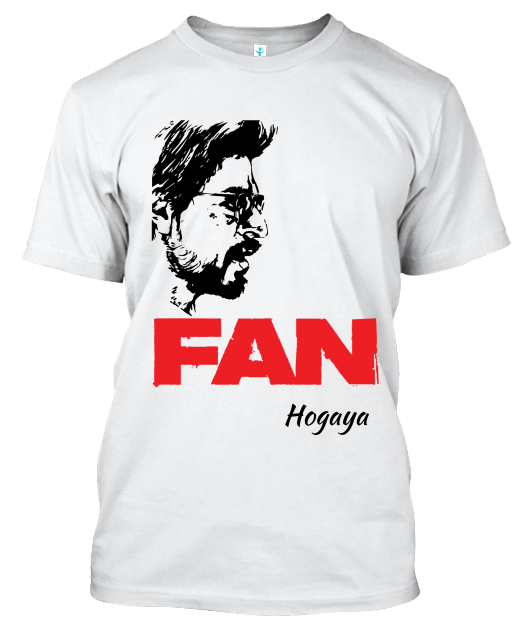 The film boasts of a unique story line revolving around a fan, who turns out to be the exact lookalike of his favorite star. It's not just the basic story line that grips you, it's also the minute detailing of the character and how he establishes an obsessive relationship with his most-admired actor that will urge you to watch it. 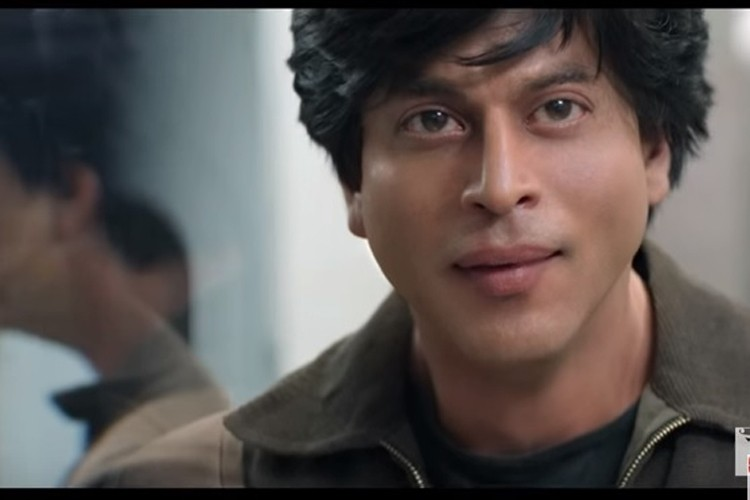 Even if you aren't an SRK fan, this trailer will make you want to take out time for this one! Needless to say, the film itself is a testimony to Bollywood superstar's success. Starring Waluscha De Sousa and Supriya Pilgaonkar in pivotal roles, the film is slated to release on April 15, 2016. SRK may have been ate by over an hour to launch the much-waited trailer, but this backstage glimpse of the star was enough to sustain fans'excitement. Shah Rukh Khan launched the trailer of his movie FAN amidst much fun and fanfare. SRK, who was emotional during this launch mentioned that the movie is very special to him and that he owed all his success and stardom to his FANS. SRK also spoke about his own personal fan moments. He mentioned that during his youth, he looked up to Kumar Gaurav and thought that he resembled the star. Well, little did he know that he would one day become one of the biggest stars of the world. SRK's FAN trailer received a great response from the audience. The star mentioned that he hoped his FANS and the audience will love it as much as he did. SRK Used to Think He Resembled This Star In His Youth, Guess Who? out to change with the trailer launch of the Shah Rukh Khan starrerFan. 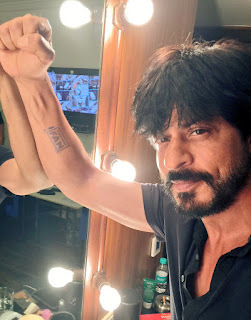 Going by the invite that was sent out earlier today, the studio will be throwing open their gates to all the fans out there to come witness the trailer launch of Fan. 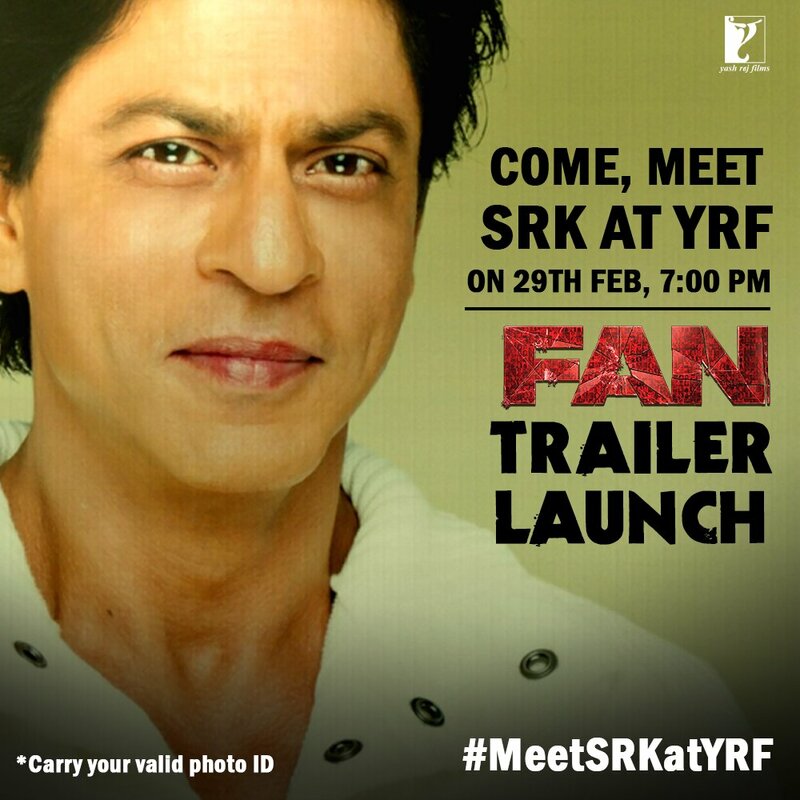 In fact the invite that starts off with the header, 'For the first time YRF gates open for Fans!' send out the message loud and clear. 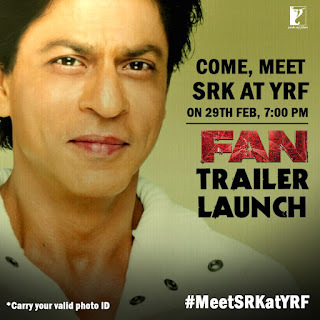 However, what caught out attention, apart from the obvious was the fact that those who do turn up for the event will in all likelihood get a chance to see the man himself Shah Rukh Khan in action, especially with him launching the trailer of his next release Fan. SRK arrived in Gujarat shooting for Raees. Gone's reply from gone@raonemovie.com @iamsrk direct email feedback for my blog/sites. 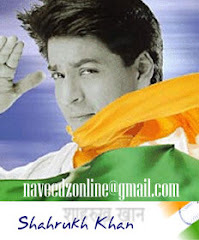 Disclaimer: This site is not affiliated with Shah Rukh Khan or his assciates, so plese don't email us Contact Webmaster srkblogonline@gmail.com http//shahrukhkhan.fotopic.net SRK blog by SRKWebservices is licensed under a Creative Commons Attribution-Share Alike 2.5 India License.